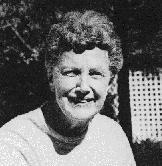 Mary Renault was born in London, where her father was a doctor. She first went to Oxford with the idea of teaching, but decided that she wanted to be a writer instead, and that after taking her degree she should broaden her knowledge of human life. She then trained for three years as a nurse, and wrote her first published novel, Promise of Love. Her next three novels were written during off-duty time when serving in World War II. One of them, Return to Night, received the MGM award. After the war, she went to South Africa and settled at the Cape. She has traveled considerably in Africa and has gone up the east coast to Zanzibar and Mombasa. But it was her travels in Greece that resulted in her previous brilliant historical reconstructions of ancient Greece. The Last of the Wine, The King Must Die, The Bull from the Sea, The Mask of Apollo, Fire from Heaven, The Persian Boy, and The Praise Singer. In addition to the novels, she has written a biography of Alexander the Great, The Nature of Alexander.